Confessions of a Reservationist: Raspberries Everywhere! August should just be raspberry month. 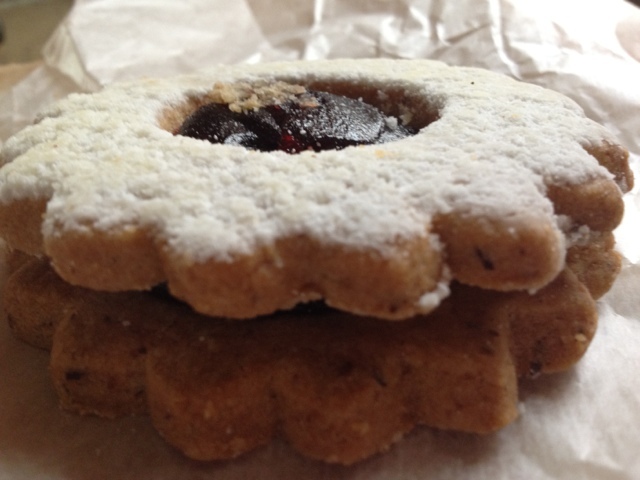 Today is Raspberry Tart Day so I found one of my favorite raspberry treats ever to celebrate: the Linzer. This one from Firehook bakery was not bad, though the jam was much better than the cookie. In any case, it was tasty enough to devour.